AMTECH valves offer the sight glass in single window and Double Window design.The glasses are made from Borosilicate toughend glass.To view the flow online in line. 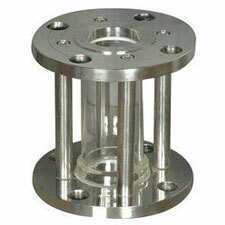 GLASS Borosilicate Glass Tube oras per customer requirements. Drilled as per DIN& JIS standard on request.